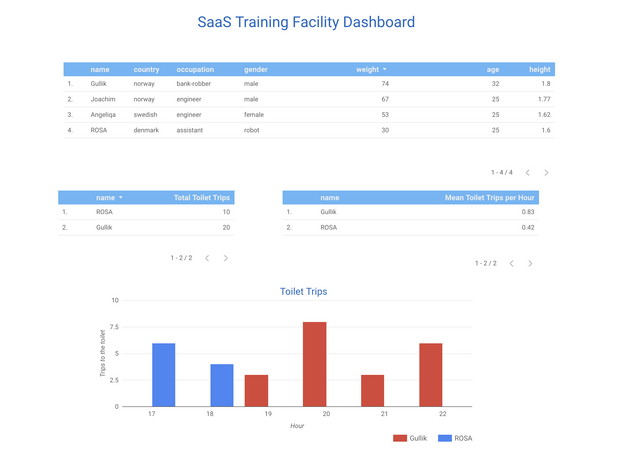 Our new heads-up dashboard allows remote SaaS operators to monitor our facilities! The need for day to day onsite human inspectors is further reduced. This is a huge step toward our goal of having zero human workers on site. The remote SaaS operator can find anomalies in displayed data and select applicants for further inspections, this greatly improves the inspectors ability to make good screening decisions. We think we deserve the [HUD] badge for this.